The Tiger Forces is a Syrian Air Intelligence-affiliated militia fighting for the Syrian government and backed by Russia. While often described as the Syrian government’s elite fighting force, this research portrays a starkly different picture. The Tiger Forces are the largest single fighting force on the Syrian battlefield, with approximately 24 groups comprised of some 4,000 offensive infantry units as well as a dedicated artillery regiment and armor unit of unknown size. Beyond these fighters are thousands of additional so-called flex units, affiliated militiamen who remain largely garrisoned in their hometowns along the north Hama and Homs borders until called on to join offensives as needed. Despite a decentralized command structure, the Tiger Forces' capabilities far exceed any other unit currently fighting in the Syrian civil war. 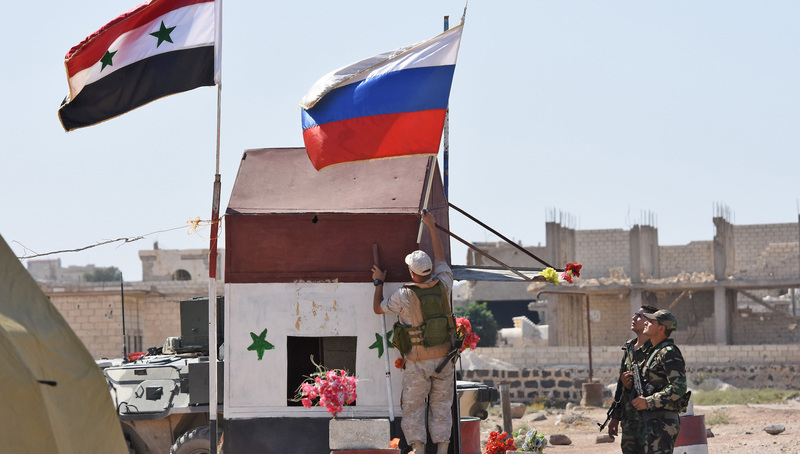 The main source of the unit’s success stems from its two full-strength infantry brigades with dedicated logistical support and the ability to call on the Syrian air force—and after September 2015 the Russian air force—at will. While there is likely some degree of higher-than-average competence among the Tiger Forces’ officer corps, this research demonstrates that the true power of the unit does not come from their alleged status as elite fighters but instead from their large size, supply lines, and Russian support. The Tiger Forces is a pro-government armed faction in the Syrian civil war, founded, financed, trained, and commanded by Syria’s Air Intelligence Directorate. The biggest transformation for the Tiger Forces came in September 2015, when the Russian military entered the war and quickly integrated alongside their chosen partner force. Brg. Gen. Suheil al-Hasan, the founder and commander of the Tiger Forces, reportedly expanded his control over all military assets in Hama throughout 2012. He soon commanded a mix of special forces units and Alawite militias. Groups and their affiliated subgroups are formed around strongmen or prominent families from specific towns or regions, with the majority remaining in their native area. While the Tiger Forces' offensive units roughly number 4,000 infantry plus an unknown number of artillery and armor crewmen, the total number of affiliated individuals is likely much higher.